Comment: In our Acts story, the crowds around Paul and Barnabas are so amazed when they heal a man that they call them gods, like Zeus and Hermes. Paul and Barnabas are alarmed by this and tell the people not to call them gods because they are mortals just like them. The crowds are trying to force Paul and Barnabas to be something that they’re not, and this mischaracterization upsets Paul and Barnabas. The men still want to do the work for which they’ve been set apart. They want to bring good news and they did heal this man, but they want to do their work truthfully and honestly, not as “gods from on high”. 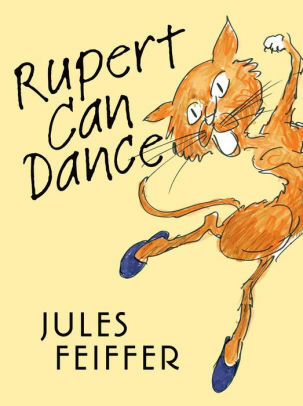 Rupert the cat has the same feeling in Rupert Can Dance. Every night, Rupert joyfully dances, but one night, his owner, Mandy, discovers him dancing. She is so pleased that he can dance but she wants to force him to take proper lessons. Rupert is horrified by this, because cats don’t take lessons. Mandy is trying to force Rupert to be something he’s not. It’s not until Mandy relents on forcing him that he is willing to dance again. He still wants to dance, but to do so the way he does it, not in a way that is false. What we learn from Mandy and Rupert and the crowds at Lystra with Paul and Barnabas is that we can’t force others to be someone they’re not. And, in order to do God’s will, we are not being asked to define ourselves as people we’re not. We still have work which we are set apart to do, but as mortals, as the people we truly are. And when we do our work that way, we can do it joyfully and honestly. Lectionary Links (NL): May 12, 2019 by Storypath is licensed under a Creative Commons Attribution-NonCommercial 4.0 International License.